The aim was to study how early cells and diseases develop. The effects of changing an embryo by adding genes would be permanent and would also appear in future generations. The technology could potentially be used to correct genes which cause diseases such as cystic fibrosis, haemophilia and even cancer. 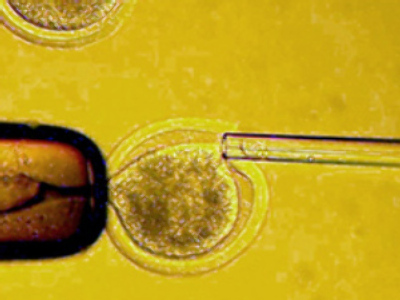 In theory, any gene that has been identified could be added to embryos. The embryo was created by in-vitro fertilisation. To add a gene to it, scientists used a virus – a green fluorescent protein. Presenting the details of the experiment, the head of research, Nikica Zaninovic, pointed out that to be sure about the genetical modification scientists would ideally need to grow the embryo and carry out further tests. The Cornell team, though, has been banned from letting the embryo progress.